Can You Boost Your Health With A Daily Horoscope? It seemed like a funny — maybe even silly — idea at first. Could a simple horoscope honestly make a difference in your physical and mental health? The answer I found is actually surprising, not to mention pretty inspirational. Positive thinking truly has power and is scientifically linked to achieving a state of better health and wellbeing. Positive inspiration from things you read or see can nourish your internal positive attitude and infuse your spirit with happiness. Can reading a daily horoscope be part of a healthy, positive program? Yes. A truly inspired horoscope can stimulate a positive outlook by including inspirational quotes and mantras as well as providing sound, practical advice in handling the events of everyday life. It can help you remind your brain to be happier and more positive each day. 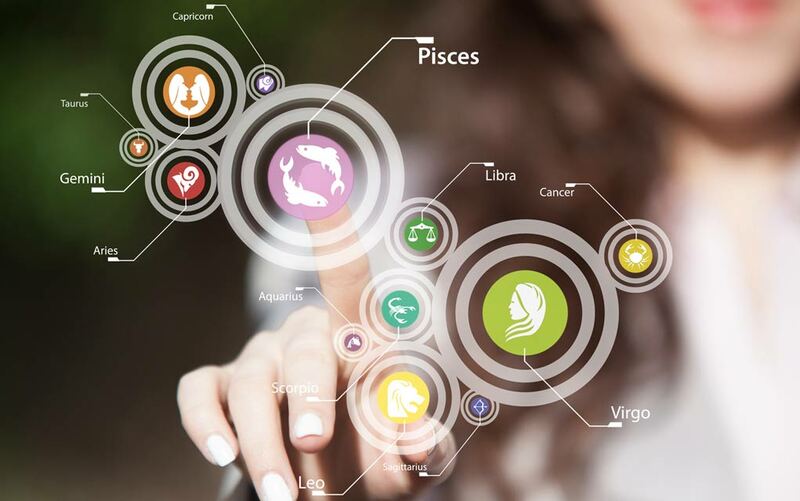 It’s important to mention — choose a daily horoscope that isn’t filled with the traditional warnings or hard predictions that you might find on some astrology sites. Instead, they should stress free will and serve as daily reminders to use your personal energy, keeping you inspired to be your best self. What’s The Big Deal About Being Positive? When you start to dig around in the concepts and science of positive psychology, it can seem a little intimidating at first. After all, who is truly happy all the time? Life can surely be rough some days. We face illness, loss and other factors that bring up some pretty heavy feelings — and those feelings are very real. The science behind positive psychology that truly works is not about ignoring life or pretending that feelings don’t exist. Bad things sometimes do happen and positive psychology supports accepting and recognizing the emotions that are difficult. At the same time, it is about retraining your brain to not get stuck in those feelings and to be able to recover easily from the day to day disappointments. So, training your brain to be happier is a win all around. Switching your perspective to the happy side doesn’t happen overnight. It is a common misconception that you wake up one day, decide to be happier and everything should fall into place. Think of it more like getting your daily exercise, but without the sweating and gym membership. When you start a new fitness routine, you don’t see the benefits in a day. If you let your routine slide for a while, you also can get off track from your goals. Training your mind isn’t much different than training your body with a healthy routine. The difference is that while your body needs and deserves a commitment of time and energy, your mind can benefit from only a few moments per day of exposure to positivity and love. To be effective in only a few moments, it’s clear that choosing carefully where your positive inspiration comes from, is really, really important. The thing is, we also realize that — much like physical fitness routines — if you don’t infuse a little fun into it, you’re more likely to let it slide. So, we looked for the most fun and enjoyable way to get your few moments of inspiration and emotional happiness nourishment — and we found it in these daily horoscopes. It doesn’t take long to get your daily lift from a quick horoscope. It can keep your happy meter going up in only a few moments of reinforcement each day. The one we chose has an app or daily alerts to keep you on track… and help you stay motivated. Even better? It’s free, so it costs nothing to keep your mind healthy and more positive… and that will give your attitude a boost which will benefit your body, too.